If you are looking for a Gas Safe Engineer in the Warrington and Wigan areas, who offer heating, plumbing & gas repair services, then look no further than Applemill Heating. 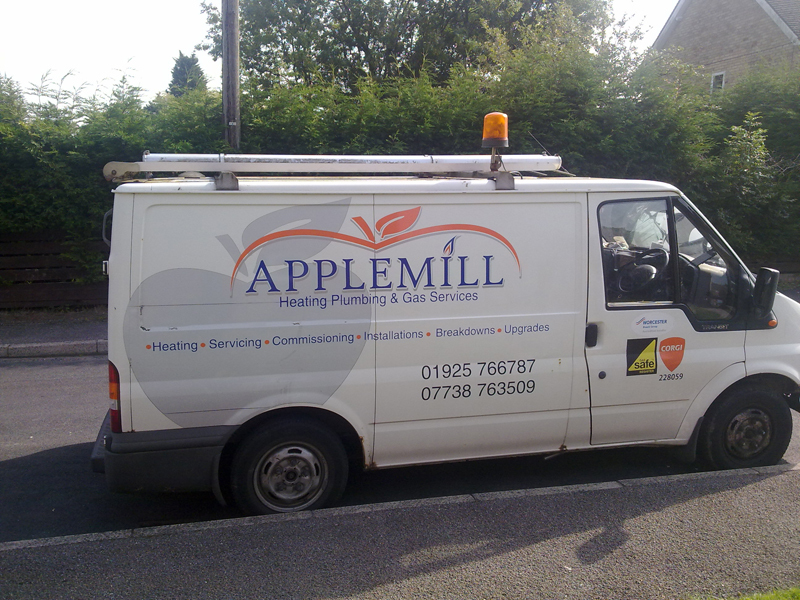 Applemill heating was formed in early 2007. We have two fully qualified engineers, Keith and Andy, who are both Gas Safe registered. Both engineers are Ex. British Gas technicians with a combined experience of over 35 years. We concentrate solely on the domestic market with all our customers being private home owners or landlords. We can work on both natural gas and L.P.G installations. We offer installation, commissioning, maintenance, service and repair on most gas appliances. A complete bathroom installation service is also available. As we have an engineer based in Warrington and one based in Wigan we cover all WA postcodes and all WN postcodes and can usually offer a call-out within 24 hours.